A little monster takes a walk through the woods one dark and spooky night. He hears and sees many things but they aren’t as scary as some might think. He is heading to the spooky old house at the edge of the woods. What could possibly be going on? 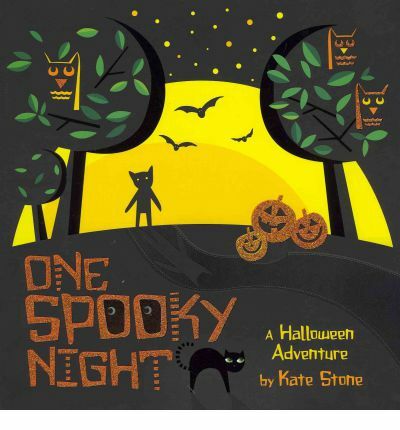 A fun halloween tale that is dark and yet not scary. The text is really basic but its presentation is what makes this book stand out. Every second page is opaque and the card pages have bits cut out of them. A fun little book but not a good idea if the little hands are prone to tearing it up.